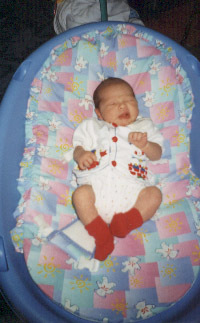 was born at 11:42 PM on May 21, 1998. 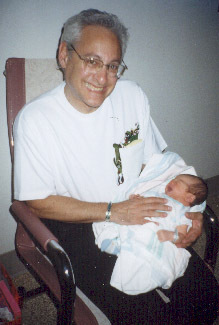 This is also his mother's birthday! 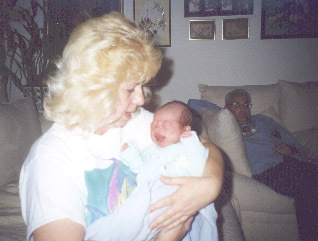 Nana Sue holds Brandon at home, Mark appears to be sleeping on the couch.